Q. What is the Jewish view of organ donation? A. Organ donation involves two related but sometimes conflicting principles – the duty to preserve life and the duty not to mutilate the body, whether it be of a living or a dead person. 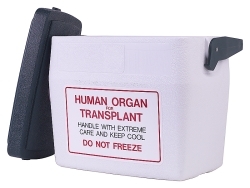 The approach Judaism takes is that – subject to procedural safeguards – an organ may be transplanted from a donor to a recipient. But there must be a specific, identified recipient whose life will be saved thereby; the clause included on driving licences which gives a blank cheque for the removal of organs without specifying the identity of the recipient is not acceptable to Judaism. 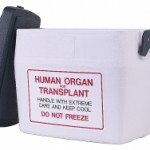 Crucial questions arise when dealing with organ donations from a dead person. To ensure the organ is in a good enough state to be transplanted, the doctors virtually have to manipulate the moment of the donor’s death. But Judaism is wary of any act which may constitute deliberate shortening of life, and therefore transplants need approval in each individual case from rabbinic authorities. This entry is filed under Ask The Rabbi, Death & Bereavement, Medical & Health Issues, Science & Technology, The Body.